Cut Notes: 76 players at 6-over-par 150 from a field of 119 professionals and one amateur. Weather: Thursday: Sunny and cool with morning lows in the 50s. Afternoon temperatures rose to the mid 70s, light winds to 5 mph. Friday: Partly cloudy with continued mild temperatures reaching 88. variable winds 10-15 mph. Saturday: Due to the threat of thunderstorms, third-round tee-times were moved up to 10:45 a.m.- 12:45 p.m. in threesomes off split tees. Partly cloudy with mild temperatures in the mid-70s. SW winds 15-20 mph with gusts to 30 mph. Play was suspended at 1:39 p.m. due to a dangerous situation. Play resumed at 4:04 p.m. and the completion of the third-round came at 8:08 p.m. Sunday: Partly cloudy and cool in the morning with temperatures in the mid 60s, W winds 7-12 mph. Sunny in the afternoon with temperatures in the mid 70s. 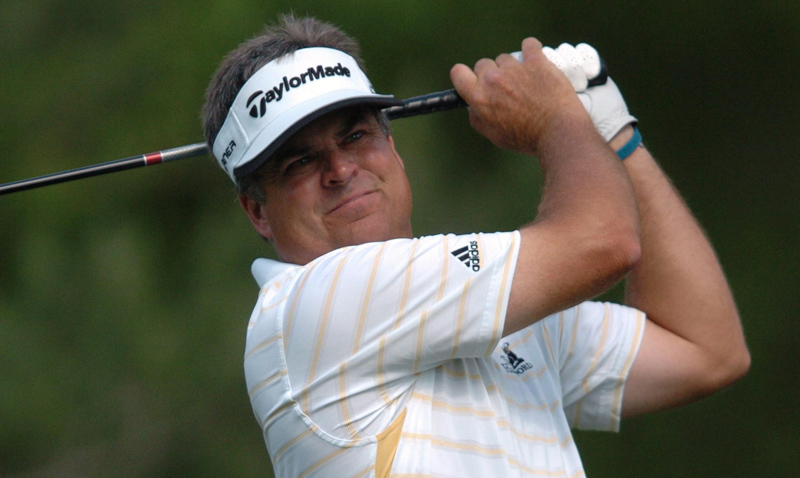 In route to his tenth career PGA TOUR victory, Kenny Perry entered the final round of the 2008 Memorial Tournament three strokes out of the lead. Perry played what he called perhaps the best round of his career, a near-perfect, 3-under-par 69 in unpredictable wind to join Tiger Woods as the only three-time winners of the Memorial. With the victory Perry also became the oldest winner in Memorial Tournament history at age 47. His 8-under-par total of 280 was two shots better than Jerry Kelly, Justin Rose, Mathew Goggin and Mike Weir, and the highest winning score at Muirfield Village Golf Club since 1985, when Hale Irwin won with a 7-under-par 281. Mathew Goggin held the lead through the first three rounds but faltered with a 2-over-par 74 on Sunday to slide into a tie for second. Perry took the lead for good when the wind held Weir's approach shot on No. 10 short of the green and he bogeyed. With par saves out of the sand at No. 12 and the back rough at No. 14 Perry's birdie at No. 15 put him three strokes ahead of the field with three holes to play. His only slip on the day came in the form of a bogey at No. 17, but his closest competitors could not close the two-shot gap and Perry's par on No. 18 sealed the win. The winner's check of $1,080,000 makes Perry the all-time earnings leader for the Memorial Tournament with $3,091,542.84, moving him past Tiger Woods with $2,763,148.